If there's one story from the NHL's All-Star skills competition that has remained memorable, it was Kendall Coyne Schofield’s impressive debut in the fastest skater event, when she posted a competitive time of 14.346 seconds while becoming the first woman to compete in the skills competition at large. In that one, the U.S. national team star finished within a second of Connor McDavid’s winning time and demonstrated that she could hang with the best of NHLers, even edging All-Star Clayton Keller’s time. 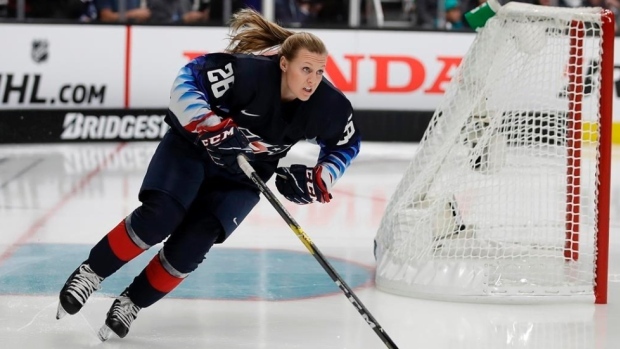 On Saturday, the National Women’s Hockey League held its own All-Star Weekend and Coyne Schofield, who also plays for the league’s Minnesota Whitecaps, was back for another round of fastest skater. In this one, she even improved her time, finishing in 13.9 seconds for the win. Without knowing the time of her finish to three decimal points, that time would still have made Coyne Schofield one of just six NHLers to finish under 14 seconds in last month’s event, potentially even passing Elias Pettersson (13.930) and Miro Heiskanen (13.914). In the NWHL event, which was structured around four sets of one-on-one races, Coyne Schofield easily beat out teammate Allie Thunstrom, and stood head and shoulders above some other impressive finishes.